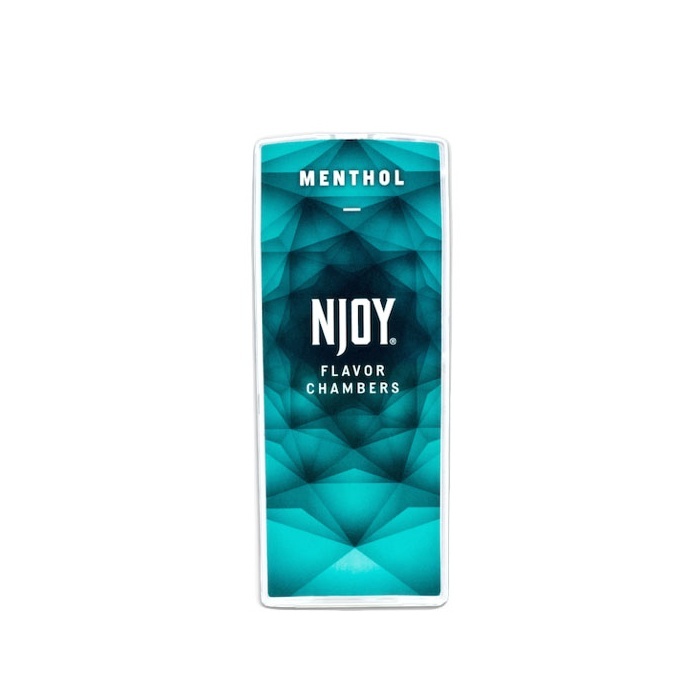 NJOY menthol flavor chambers offer a cool, refreshing cartridge refills, but with that good throat hit often missing from menthol e-cigarettes. Wish they came in the 5 pack. Hoping they don’t phase them out like they did the other flavor chambers. Very good flavor. Easy to use. Just right. Not too light and not too strong. I will definitely reorder. I love buying my refills here, because they ship SUPER fast, they are remarkably cheap, and they have great customer service. Electric Tobacconist for life!!! These are not the same strength as the NJoy e-cigarettes that I bought in a store. They are too strong and make me cough. I am not happy with them at all, and I bought WAY too many packages, thinking I was getting what I had before. My error! I have purchased every brand of disposable and rechargeable e-cig over the last four years and the NJOY Menthol flavor chambers to me are the most realistic I have tried. The flavor is smooth and strong. each chamber lasting significantly. There are two chambers in each package at an excellent price. The product is often sold-out in stores and online which is where the Electric Tobacconist has proven to be reliable and fast in delivery. The cost is comparable to retail stores and the quality is authentic and fresh.